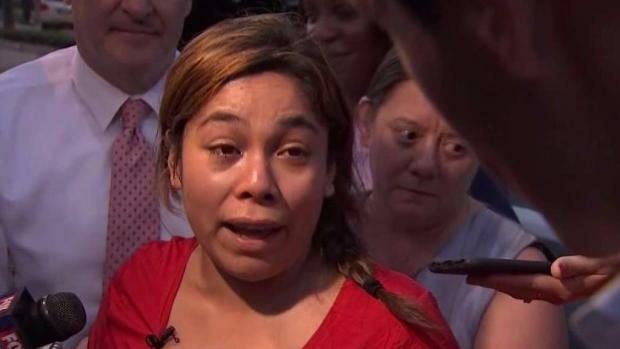 A Guatemalan mother separated from her three young children at the border in May was finally reunited with her kids in New York City Tuesday morning -- with the event so emotional even the translator was brought to tears. Melissa Russo reports. A Guatemalan mother separated from her three young children at the border in May was finally reunited with her kids in New York City Tuesday morning -- with the event so emotional even the translator was brought to tears. Now there are hopes the family may be allowed to stay long-term. Yeni Gonzalez was granted a visit to her children, who are being cared for at an East Harlem shelter, after they were taken from her when she illegally crossed the border into the U.S on May 19. News 4 has been following Gonzalez's journey and was there Tuesday at 9 a.m. as she made the long-awaited visit to her children, aged 6, 9 and 11. 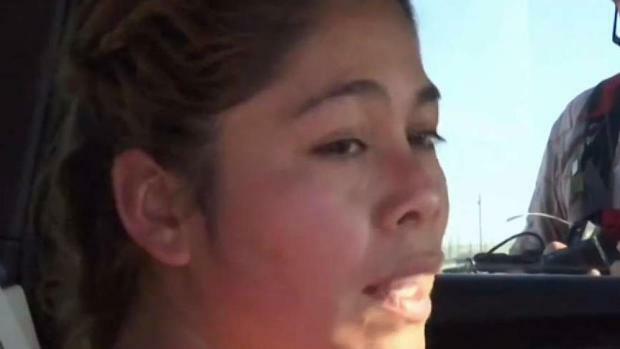 Wearing an ankle bracelet after being released from an Arizona detention center, she told News 4 in tears that her kids were in good physical condition and wanted to go home with their mom. Gonzalez also received some good news -- she would be allowed to see her children for some time each day, when previously she was only granted a one-off visit. It was also announced that the family may be allowed to stay long term with sponsors in North Carolina, however those sponsors will need to be assessed by federal immigration agents first. According to Rep. Adriano Espaillat (D-NY), who stood alongside Gonzalez after visiting the Cayuga Center Tuesday, said, "Everyone in the sponsor home has to be fingerprinted, so it's taking far too long." Gonzalez said she did not want to leave New York without her children, but it could take at least two months before they could move to North Carolina. Gonzalez wept while speaking of her family's pain on Tuesday, with her translator also brought to tears. "We've shared a lot of sorrow together, we've suffered a lot," she said. A Guatemalan mother separated from her children when she illegally crossed the border has arrived in NYC to see her kids for the first time in weeks. Ray Villeda reports. Gonzalez said she came to the U.S. searching for a better future for her children, to escape the poverty of her country. Last Thursday, an immigration attorney traveled to Eloy, Arizona, to get her out on bond, which was paid for by a group of New York City moms who started a GoFundMe page — complete strangers to Gonzalez. "We have three children, and I just understand that if there's something we can do with our privilege and within our networks, why wouldn't we do that?" said fundraiser organizer Julie Collazo. There are hundreds of other mothers where Gonzalez came from, still without a plan to reunite with their children. Some of those kids in New York City foster care are feeling despair, according to David Hansell, the commissioner of Administration for Children's Services. "Eleven year olds, for example, who are wetting the bed. Kids who have been here several nights and can't sleep. Kids who are afraid to be hugged or touched," he said. "These kids are coming with trauma beyond what these foster programs are used to, and they're also coming in dire need of medical care." Those local foster programs are under federal contract to care for some 325 of the separated children in New York. On Tuesday, the New York City ACS and other local agencies said they're jumping in to help, offering emergency psychicatric care, dentists, lawyers, even toys and trips to the zoo to try to ease the pain for the children until they can be reunited with their parents. "We have been reaching out to the federal government for several weeks to try to find out" when and how the children can be reunited with their parents, said Hansell. "We have not been able to get any response to these questions."